If you and the girls want to get away this summer, there is so much to do in the Lake George region! A friend asked me about this the other day, and I wrote an entire email detailing some ideas, so I figured why not share it with you all here, too. 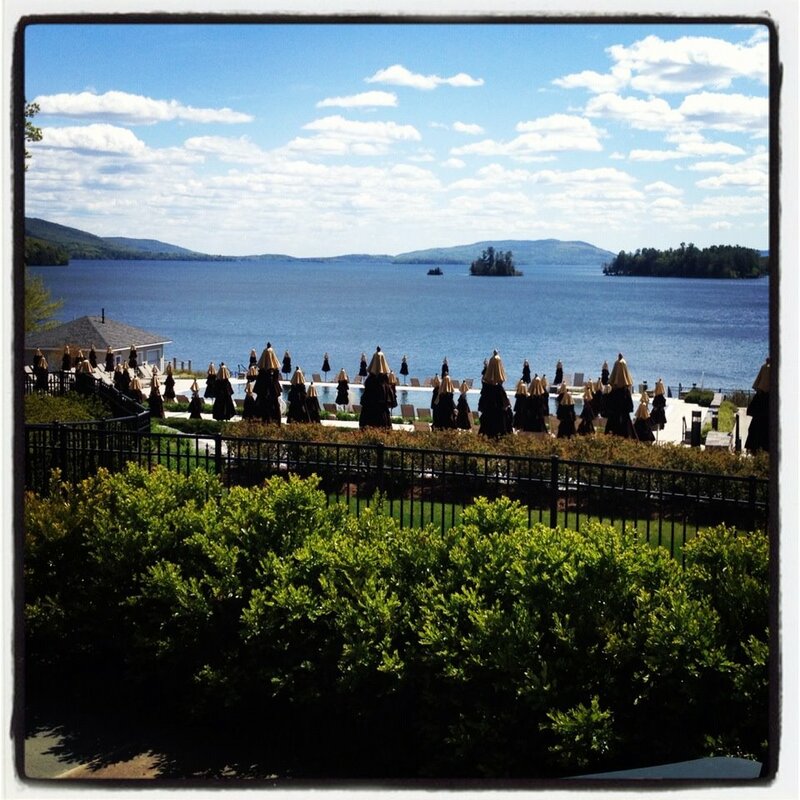 The best girlfriends getaway is a weekend in the Adirondack Mountains of New York, specifically in the Lake George area. Stay at the newly renovated Sagamore Resort, named one of the of Travel & Leisure’s Top 500 Hotels, where you can enjoy beautiful views of the lake while sipping wine on the Veranda, take a dip in the pool, sign up for stand up paddle boarding or kayak lessons with the girls at theLake George Kayak Company or treat yourself to one of their specialty massages in their spa. In the evening stroll into the town of Bolton Landing to shop at small boutiques, like Serendipity, where you will find trendy clothing and accessories and then enjoy live music at one of the many outdoor restaurants. Just a short drive or trolly ride away you will find the Lake George Outlets, where you can score deals at stores like Gap, Coach and Kenneth Cole. A great way to see the area is to get out on the lake. Jump on one of the Lake George Steamboat Company‘s ships, or take take a seat at the wheel by renting a boat from Chic’s Marina. Want to enjoy a true Adirondack beverage? Stop in for a tasting at the Adirondack Winery, or grab a beer on the deck of the Adirondack Pub and Brewery in the Village of Lake George. You are going to *love* Bolton Landing. i've never been to lake george but when i lived on the east coast it was always on my list! Serendipity is such a cute little shop it looks like our soaps would fit in perfect there!